It may have been my very early love of reading and feeling the rhythm of the words on the page that put me on this road. One my real influences was the legendary sportswriter Blackie Sherrod. For decades he wrote a column for the Dallas Times Herald and later the Dallas Morning News. Reading him made me think of being a sportswriter, although that kind of writing is now is the farthest thing from my mind. But I did pick up a lot of style and storytelling tips from Blackie’s columns. Blackie usually focused on one subject, but on occasion he would do what he called “scattershooting” instead. The column would be a series of short paragraphs with no connection to each other and in no particular order. I loved those days. To me, they were a kind of sports buffet that let me sample a little bit of everything. Today’s letter will be my version of Blackie Sherrod’s scattershooting. I’ve been in Colorado with Shane all week. Beaver Creek is stunningly beautiful in the summer, so it’s been hard to keep up with the news or check email. Instead of delving deep into one subject, I’ll give you my quick thoughts on several different items. They aren’t connected to each other, nor do they build up to any sort of conclusion. They’re just what is on my mind as we wrap up summer 2017. The top-of-mind news is the havoc wreaked by Hurricane Harvey on South Texas and Louisiana. Houston is getting most of the publicity, but the affected area is much larger. As a lifelong Texan, I have many friends in that region. They’ve lived through many storms and normally take what natures throws at them in stride. Not this time. I am seeing headlines calling this a thousand-year flood. It seems that over 100,000 homes in Houston alone were flooded. Harvey meant business. Recovering from this storm will take a long time and a lot of resources. Economically, Harvey will likely be big enough to actually show up in national data. The weird part is it may eventually look like growth instead of destruction, because of the way we measure GDP. Gross domestic product looks at what the nation produces. It doesn’t matter if we lost something else on the way there and are merely rebuilding to get it back. Houston is the fourth largest city in the country. If it were a separate nation, it would be the 23rd-ranked country in terms of economic size. And that isn’t even counting the surrounding areas that were devastated. Here’s reality. Tens, perhaps hundreds, of thousands of people in Houston alone lost their homes, their cars, probably most of their possessions. Some are now unemployed. Thousands of businesses will be closed for weeks, possibly months. Had Harvey not come along, those workers and businesses would all have been producing something that added to GDP. Now they aren’t. Getting these people productive again will generate a lot of spending: new homes, office buildings, cars, etc. This isn’t growth; it simply restores what the storm destroyed. But to GDP, it looks like production. Natural disasters are never good for the economy, but they can cause a temporary increase to GDP. In other words, “the economy” is not synonymous with GDP. Technically we knew that, but the disconnect is still funny to see in print. [T]he timing of Hurricane Harvey is key. We have over a full month left in the third quarter, which means the economic effects of Harvey may be fairly neutral on 3Q as a whole, but the lagged effects of rebuilding homes and replacing motor vehicles can last longer, providing a lift to GDP in 4Q and beyond. Last week also brought the second estimate for second-quarter GDP, a surprisingly strong 3%. If the third quarter can hold up and then Harvey-related rebuilding activity adds a few points to the fourth quarter, 2017 might end with GDP looking pretty good relative to recent years. That outcome might in turn affect Federal Reserve decisions and all sorts of other choices. Simply having that 3-handle on GDP will be a psychological boost for many people, even if is a Harvey-driven illusion. Sidebar: We desperately need a better growth measure than GDP is, but for now it’s all we have. One of this year’s big macro questions – perhaps the macro question – is why low unemployment isn’t sparking higher inflation as the fabled Phillips curve says it should. The Fed is tightening because it believes in the Phillips curve. But what if it shouldn’t rely on the Phillips curve with such blind faith? Some new research from the Fed itself says that may be the case. How many would “a few” FOMC members be? We don’t know. At this point, apparently not a majority. Maybe they have the Philly Fed paper on their summer reading lists. Let’s be clear: Serious economists have long questioned the Phillips curve. The problem is that it’s the only arrow the Fed has in its quiver to predict inflation relative to employment. As one Fed economist said to me, you can’t take away the Phillips curve model without replacing it with another model. I guess the Federal Reserve is kind of like that commanding officer. They feel they have to make predictions about inflation, and so they’re going to use the Phillips curve, even if many economists, and even their own staff economists, generally agree that it doesn’t hold water. Speaking of summer and central bankers, the annual Jackson Hole symposium produced fewer interesting nuggets than usual. That doesn’t mean nothing happened. The speeches media are allowed to cover are not the main event. Far more interesting – if only we could be flies on the wall! – are the many private conversations among the assembled monetary geniuses. We did learn something important, though: Janet Yellen has no interest in staying on as Fed chair after her term ends in February. We know this because her speech was a frontal assault on President Trump’s financial deregulation agenda. She warned against rolling back Dodd-Frank and the other post-crisis regulations. The Fed has two important jobs: monetary policy and bank regulation. Dodd-Frank created a new Fed vice-chair position to lead the bank supervision role. President Obama left that position vacant for some reason, but Trump has nominated Randal Quarles for the job. Quarles is more sympathetic to the banking industry than Yellen is. From what I can gather, Yellen doesn’t want to stay, and Trump doesn’t want to keep her. His comments to the contrary were just an effort to keep everyone guessing. The job appears to be Gary Cohn’s – if he wants it. Seeing the former president of Goldman Sachs take charge of the Federal Reserve is going to make some people’s heads explode. Other heads will simply shake, classifying the appointment as the fulfillment of prophecy. Regardless, it seems likely to happen. I am not sure Cohn has much loyalty to Goldman Sachs. Yes, he had a long career there. But according to some reports, he capped that career by trying to take the CEO job from Lloyd Blankfein. That attempt was not the best career move, to say the least, so accepting his current White House role actually afforded him a graceful exit from Goldman. Cohn and Yellen are the only two names Trump has mentioned for Fed chair. Others were supposedly in the mix, but I see no signs of movement. Could Trump surprise us? Yes, he does that all the time, but I believe Cohn is now the default choice. My friend (and previous SIC speaker) Jason Cummins, who is chief US economist for Brevan Howard, penned a Financial Times guest column last week that asked the critical question, what would a Gary Cohn-led Federal Reserve look like? If we imagine a scenario where Mr Cohn leaves unchanged the central bank’s federal funds rate over the next two years. If we then assume the exchange value of the US dollar falls 10 per cent to 2014 levels and the stock market grows by 10 per cent, bringing it further into record-setting territory. Such assumptions seem reasonable, perhaps even conservative. 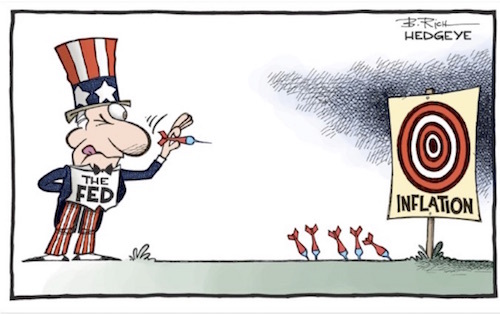 Yet the Fed’s model says that a combination of that kind would deliver real gross domestic product growth of nearly 3 per cent a year, a lower unemployment rate bottoming out at a multi-decade low of 3.5 per cent and higher inflation rising above the Fed’s 2 per cent target. That is before the possible beneficial effects of tax reform and deregulation. That all sounds attractive. Jason’s one concern is whether Cohn would be quick enough to crack down on inflation by taking away the proverbial punchbowl. He might not – but I doubt he will need to. The next decade will bring many challenges for whoever leads the Fed, though I don’t think hyperinflation (or even 3% or 4% inflation) will be one of them, absent significant quantitative easing – and by significant I mean far larger than anything we have seen so far. This month will be busy for us macro monitors. The FOMC meets September 19–20 and will likely hike rates another notch, launch its balance-sheet-reduction plan, or both. I will be very surprised if they don’t do either. The greater suspense is elsewhere in Washington. Congress returns from its summer vacation recess after Labor Day and has a lot on its plate. Two deadlines are potentially perilous. The federal government will hit its statutory debt ceiling on September 29. Unless Congress acts, the Treasury will have no authority to borrow money after that date, a conundrum which could lead to the US government’s not paying its bills, including the principal and interest due on Treasury debt, on time. We went all through this headache in 2011, prompting S&P to cut the US’s credit rating, and again in 2013. The debt-ceiling debate is a rather silly argument, in my view, because it doesn’t reduce spending and actually costs taxpayers money by making the Treasury pay slightly higher rates on its near-term borrowing. Yet some in Congress want to use the debate as leverage to get their priorities passed. Holding the full faith and credit of the US hostage to a political debate over the debt ceiling is a dangerous game, and I hope they don’t play it. On top of that, September 30 is the end of the fiscal year, and there is presently no budget for FY 2018. If Congress doesn’t pass one, or if they do pass one and the president vetoes it, the government has to stop operating on October 1. A shutdown actually happened in 2013, and the government was offline for 16 days before an agreement was reached. In reality, however, much of the government stays open. Law enforcement, the armed forces, and other “essential” departments continue operating, even without a budget. Closing down the government doesn’t net savings, either, since Congress ends up paying the furloughed “nonessential” workers for the time they aren’t working. This time around we have another complication, too: President Trump’s border wall. He said at his Phoenix rally last month, “If we have to close down the government, we’re building that wall.” It’s not clear whether a budget that funds the wall can pass Congress; nor is it clear whether Trump will veto a bill that doesn’t fund the wall. On top of all that, the Federal Aviation Administration and the Children’s Health Insurance Program both need reauthorization this month, and now there’s likely to be a Harvey disaster relief bill, too. All those matters will eat up legislative time and energy. Time spent on them is time Congress won’t spend on what should be its top priorities: tax reform, healthcare, and an infrastructure stimulus program. In early August, David Stockman did some excellent work highlighting the exorbitant valuations in the tech sector. FB, AMZN, GOOG, NFLX, AAPL and MSFT saw their weighted average P/E increase by 50% over the last 30 months. Between January 2015 and early August, their collective market cap accounted for 40% ($1.4 trillion) of the S&P 500’s increase in value from $17.7 trillion to $21.2 trillion. This pattern of a small sliver of tech giants accounting for a disproportionate amount of market gains is a repeat of what happened during the Internet Bubble when MSFT, DELL, CSCO and INTC saw their market caps double from $850 billion to $1.65 trillion. At the March 2000 peak, MSFT’s P/E was 50x, INTC’s was 60x and CSCO’s was 200x compared to FB’s 40x P/E, AMZN’s 190x P/E and NFLX’s 217x P/E today. Two years later, the four tech giants of the Internet Bubble had lost 75% of their value. AMZN stock has gone parabolic from around $300/share at the beginning of 2015 to around $1,000/share today. NFLX and FB followed similar patterns. Throw in TSLA and you have living proof that investors are driven by emotion and learned nothing from what happened at the turn of the century. I am confident in saying that these stocks will come back to earth and that those buying them at these valuations are playing a dangerous momentum game. I’m writing from Denver today. Shane and I will head home on Sunday. I don’t have much travel scheduled until later in September, when I will be in Chicago for a couple of days (26–28) for a speech, fly out the next day to Lisbon, and return to Dallas to speak at the Dallas Money Show on October 5–6. You can click on the link for details. 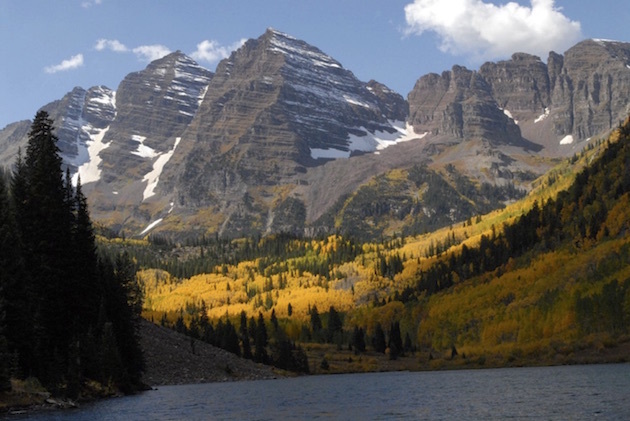 I will speak at an alternative investments conference in Denver on October 23–24 (details in future letters). I will again be in Denver on November 6 and 7, speaking for the CFA Society and holding meetings. After a lot of small back-and-forth flights in November, I’ll end up in Lugano, Switzerland, right before Thanksgiving. A busy month! For many of us of a certain age in the US, summer is not really over until after Labor Day. When I was growing up, school boards wouldn’t think of starting the school year before Labor Day; it just became ingrained in our minds that the Tuesday after Labor Day, we had to get back to work. (For those not from the US, Labor Day is the first Monday in September.) Although I do try to “move the ball down the field,” the last two weeks of August just seem to be slower, less productive times. And then we hit the ground running in early September. Again, my mind turns to my fellow Texans and all those along the coast who have suffered one of the most devastating storms in US history. A lot of families are going to end up on the short end of the financial stick as they find out that their home insurance may not cover their losses and their auto insurance may not pay off the full amount that’s left on the note, especially for a newer car. I know that a lot of you are donating money and goods, so as a Texan I want to thank you and encourage you to do more. Some of the locals here have told me it may be the altitude, but I am “off my feed” for the past few days. I don’t normally have a problem traveling, but something has hit my system that is kicking back, so we’re not going to get to enjoy the city as I was hoping to. But it looks like I’ll have a few opportunities to get back before the end of the year. You have a great week. 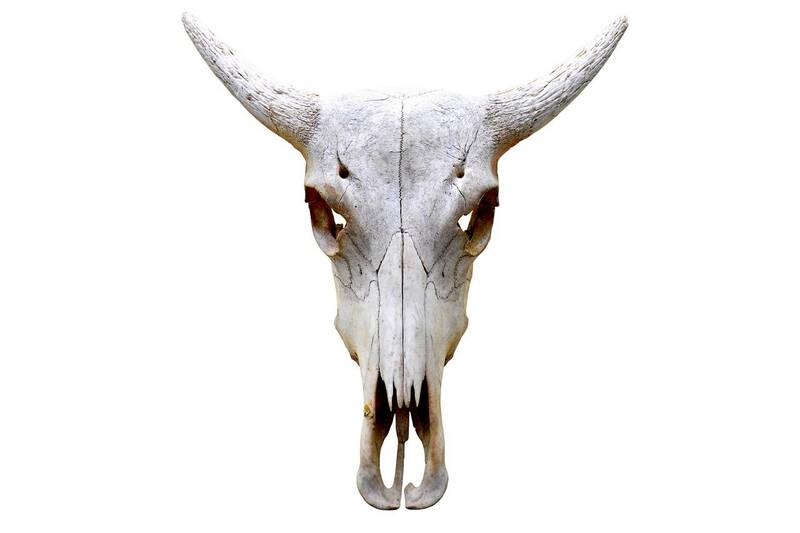 The bull’s long gallop might be nearing an end. But there are ways for investors to ensure that they won’t be trampled when it does. Scaling great heights, whether climbing a Himalayan peak or watching the market rise, comes with risks that must be monitored every step of the way. And the higher you go, the greater those risks become. Climbers feel numbness in their fingers and toes, and lightness in their heads; investors can feel the same things, if for different reasons, as the market lurches from peak to peak. The question becomes whether to turn back, or to keep trudging higher. That’s particularly pertinent for investors, who have watched stocks more than triple since the depths of the financial crisis in a bull market that is now the second-longest on record. And with dangers—both real and imagined—seemingly lurking in every dip and drop, the urge to turn tail and run from equities might be particularly strong. Time to freak out about the imminent end of this great bull run? We think not. Neither longevity nor high stock prices, nor political turmoil usually are enough to send stocks into a protracted slide. The culprit in nearly every case is recession. The mystery is what will cause the next one. Fortunately, there likely will be plenty of clues. MOVES THAT VERY RECENTLY might have been written off as a run-of-the mill market pause now raise questions about this bull’s durability. After all, the S&P 500 is up 265% since bottoming on March 9, 2009. Stock valuations have surged to extremes rarely seen except at market peaks. And expectations for market-friendly legislation seem to be as up in the air as ever. Two conditions now exist that could increase the chances of a sharp selloff. The first is valuation. The S&P 500 is trading at 17.7 times 12-month forward estimated earnings, near the highest price/earnings ratio since the dot-com boom. As a short-term measure, such high valuations have almost no predictive value. 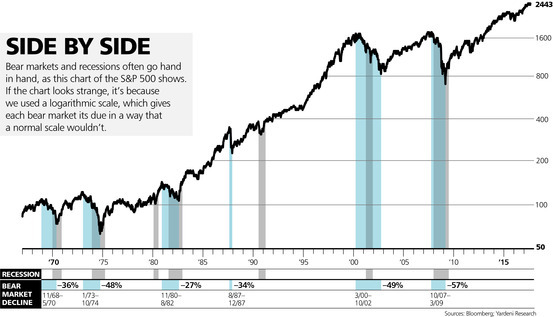 But bear markets almost never begin when stocks are cheap. At the same time, the Federal Reserve is normalizing interest rates. That, on its own, won’t precipitate a bear market, but it could be a catalyst for one if the central bank hikes too much, too fast. The interest-rate backdrop, combined with high valuations, suggests the risk to the bull market is higher now than at any time in the past eight years. “The two most important pieces are there,” says Antti Ilmanen, manager of the portfolio-solutions group at AQR Capital Management. He stresses, though, that neither means a bear market is imminent. Recession is the key factor here. Markets tumble all the time, but have a way of coming back, as long as the economy continues to grow. During the past three years, the S&P 500 suffered a drop of 7.4% in less than a month of trading in 2014, an 11% tumble over six days in August 2015, and another 11% decline during the first 30 trading days of 2016. All three downdrafts, although frightening, turned out to be buying opportunities. Even the mother of all corrections—the 22.6% plunge in the Dow Jones Industrial Average on Oct. 19, 1987—was followed by a relatively quick snapback that saw the blue-chip benchmark hitting a new high in less than two years. “Those are steep corrections, not bear markets,” says David Rosenberg, chief economist and strategist at Gluskin Sheff. But when a drop is accompanied by a recession, watch out. It was economic slowdowns that made the Great Recession, the tech bust, and the bear market of 1973-74 so painful. And it’s safe to assume that when the market’s rally does finally end, it will be a sharp economic downturn that drives a stake through its heart. SOME OBSERVERS SUGGEST that we could be on the cusp of a major downturn right now, and there’s no shortage of data to make the case, if one is so inclined. There are signs that the consumer might be tapped out, with the savings rate near its lowest level since the financial crisis, implying that spending could slow. The Federal Reserve seems intent on raising interest rates, even as inflation remains below its 2% threshold. And even the housing market shows signs of cooling off; new-home sales plunged 9.4% in July. ANOTHER SCENARIO REMAINS a possibility, however—that instead of rolling over, the economy heats up. It’s not that far-fetched. Jobless claims remain low, while small-business sentiment is strong. And while inflation remains muted, there are signs that it could be ready to pick up, particularly if the U.S. dollar stays weak, says James Paulsen, chief investment strategist at the Leuthold Group. A weak greenback makes American goods more attractive for U.S. consumers and international shoppers alike, and as a result leads to an increase in demand. That doesn’t lead to inflation if there’s slack in the economy, but when the economy is at full employment, that could cause prices to rise. If that were the case, the Federal Reserve might decide that it must pick up the pace of its rate hikes—helping to thrust the nation into a recession. “Every postwar recession was preceded by some semblance of overheating,” Paulsen observes. In other words, this time might not be so different after all. The economy could get a further boost if progress is made on the president’s economic agenda. Jason DeSena Trennert, co-founder and chairman of Strategas Research Partners, points to regulation as one area in which the president can make changes without relying on Congress. In some investors’ view, the financial system is particularly ripe for deregulation. To start with, regulators could make banks’ stress tests less stringent. If that happens, banks would likely take on more risk and more leverage, which could lead to an increase in demand for money. The upshot: “If the Trump administration gets its economic agenda through, the irony is that you could get a better economy and weaker equity prices, simply because you’ll have higher inflation and higher interest rates,” Trennert says. IN ADDITION, some unforeseen wild card could sic the bear on stocks. A hard landing in China, fear of which caused the August 2015 selloff, could lead to a global economic slump. The threat of antitrust action against tech titans, such as Apple (ticker: AAPL), AlphabetGOOGL in Your Value Your Change Short position (GOOGL), FacebookFB in Your Value Your Change Short position (FB), and Amazon.com (AMZN), which have helped lead the market higher, could also trip up the bull. And don’t forget the almost unprecedented response to the financial crisis—which saw interest rates globally pushed toward—and, in some countries, below—zero, with central banks buying up massive amounts of bonds and other financial instruments. That means we can’t take anything for granted, especially something as unpredictable as a recession or a bear market. There are warning signs: Widening credit spreads—the difference between the effective payouts on high-yield bonds and Treasuries—often signal trouble ahead, though they produced a false reading during the 2016 selloff. But right now, the difference between yields on junk bonds and equivalent Treasuries is just under four percentage points, according to Bank of America Merrill Lynch. That’s up from a low of 3.55 percentage points earlier this year, not enough to be worrisome. Historically, an inverted yield curve—which arises when longer-term bond yields dip below the fed-funds rate (the rate banks charge one another for overnight loans)—has been among the most accurate indicators of a coming recession. In fact, it’s presaged the past seven recessions, though the timing often leaves something to be desired. For instance, while the yield curve inverted in 2006, a recession didn’t start until the following year. Right now, the difference between the fed-funds rate and the 10-year Treasury yield is about one percentage point. Leuthold’s Paulsen, meanwhile, is watching the gap between the S&P 500’s trailing 12-month earnings yield—the inverse of the market’s price-earnings ratio, it’s calculated by dividing earnings per share by a stock’s current market quote—and bond yields. With stocks trading at an earnings yield of 4.71% and the 10-year Treasury at 2.16%, that leaves a still-sizable gap of 2.55 points. But if the spread starts to close, it could be a sign that investor preferences will shift toward bonds, especially if it’s due to higher bond yields, Paulsen says. “The math starts to change, and rates start to become a hurdle for stocks,” he adds. BECAUSE OF THE FED’S extraordinary monetary policy following the financial crisis, not everyone is convinced that the yield curve will be the early-warning signal that it usually is. As a result, Michael Darda, chief economist at MKM Partners, recommends that investors keep a close eye on the jobs data, which also have a solid record of signaling recessions. For instance, a 0.5 percentage point rise in the unemployment rate from the previous year would suggest that the economy might already be in recession, but the unemployment rate has dropped 0.5 percentage point during the past 12 months. Unemployment insurance claims, too, can be a sign of a looming recessions. An increase of 12.5% or more in the ratio of jobless claims to the size of the labor force on a quarterly basis typically occurs a quarter before a recession, Darda says. But that metric has dropped 6.9% over the past 12 months. “Investors could—and probably will—do far worse than if they simply watch these real economy data points and only climb into the bomb shelter when the data starts to reflect elevated recession risk,” he suggests. AND DON’T EXPECT the next downturn to be just any bear market. The market works differently than it did even 10 years ago, with exchange-traded funds now playing a far more dominant role. Some $2.4 trillion sits in equity ETFs, up from $534 billion at the end of 2007. These funds now account for more than 20% of equity assets under management, according to Morningstar. Why does this matter? Imagine that there’s a selloff, and investors move to lighten their stock positions. If they have different portfolios of individual stocks, they’ll pick and choose among them, spreading out the selling, says Michael Shaoul, CEO of Marketfield Asset Management. But if they all own the same ETFs, everyone selling will be dumping the same stocks at the same time, exerting enormous downward pressure on their prices. “A bear market dominated by passive investing will be more volatile,” Shaoul warns. But that might be the least of our problems. Trading is now dominated by machines, as algorithms battle other algorithms for shares of stocks. And even stock- pickers are using quantitative tools to help boost performance, a fact driven home by BlackRock’sBLK in Your Value Your Change Short position (BLK) decision in March to make some of its active funds more programmatic. But machines make mistakes, just as humans do. Remember, it was the rise of portfolio insurance—a fairly simple system designed to protect against losses that involved quickly selling into market downdrafts—that turned what could have been a run-of-the-mill selloff on Oct. 19, 1987 into Black Monday. THE INVESTING ARENA’S COMPLEXITY has only grown since then, leading to “flash crashes”—violent and sudden price movements as market liquidity disappears, cautions Andrew Lo, a professor of finance at the MIT Sloan School of Management. “That creates vulnerabilities in the financial ecosystem that hadn’t occurred before,” he says. That has some investors wondering if they can get out of the way. Baird’s Root says that clients have been asking him for “orphan stocks,” those that aren’t a big part of indexes and hence won’t be caught in the downdraft. But when stocks are strong, there’s a price to be paid for owning such issues. After President Trump’s election win, the Industrial Select Sector SPDRXLI in Your Value Your Change Short position ETF (XLI) rose 12.6% through March 22, as investors bet on his make-America-great-again policies. The 10 largest industrial stocks not in that index—including Nordson (NDSN), HD Supply (HDS), and IDEXIEX in Your Value Your Change Short position (IEX)—returned a median of just 5.4% during that same period. However, the same phenomenon could work in reverse during a bear market, Root says. It might even be prudent to hold more cash. That reduces portfolio volatility on the way down, and provides the means to buy stocks on the cheap after a selloff. Of course, an investor must be willing to earn next to nothing on that money while waiting for the bottom to fall out. But remember: Out of every bear, a new bull is born. QIN SHIHUANG was the emperor who first unified China, through bloody conquest more than two millennia ago. Known for starting the Great Wall and burying scholars alive, he has a new claim to fame: the central bank has drawn on his construction of a national road system to help explain its new monetary system. In a report on August 11th, the People’s Bank of China seized on an idiom derived from his road-building experience: it had “shaved off mountain peaks and filled valleys” in managing liquidity. The modernisation of monetary policy is in its own way a monumental project for China. Over the past two decades, the central bank’s conduct of policy had two defining features. It focused on the quantity, not the price, of money. And it relied on inflows of foreign cash to generate new money. Both features are now slowly changing, bringing China closer to the norm in developed markets, an essential transition for an increasingly complex economy. Start with interest rates. These used to be of secondary importance in China. Regulators instead used quotas to dictate how much banks lent and in effect fixed their deposit and lending rates. This made sense when China was in the early stages of moving away from a planned economy. Crude targets were still needed. But as a bigger, rowdier financial system took shape, these targets became less relevant. With the emergence of a large bond market, myriad non-bank lenders and new investment options for savers, banks now face more competition for deposits and in building up their loan books. Seeing this, the central bank in late 2015 gave banks freedom, in theory, to set their own lending and deposit rates. It also eliminated mandatory loan-to-deposit ratios and put less stress on credit quotas. However, this opened a gap. It had relinquished its former controls without new ones in place. The answer has been to create a policy rate, much like benchmark short-term interest rates in America and Europe. 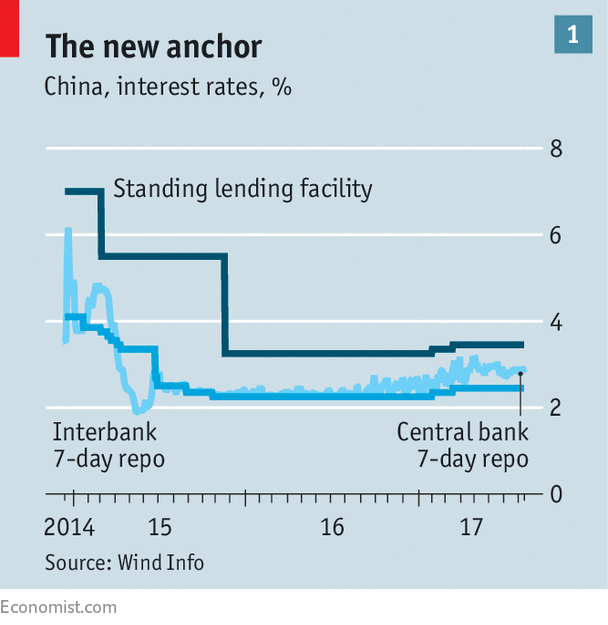 The central bank has tried to create an equivalent anchor in China’s financial system: the seven-day “repo” rate (the bond-repurchase rate at which it lends to banks). Complementing this shift has been the central bank’s creation of a range of liquidity-management tools. Since 2013 it has opened a baffling plethora of new lending windows: short-term liquidity operations, standing lending facilities, medium-term lending facilities and pledged supplementary lending. All added up to the same thing: conduits to inject cash at different rates and for different durations or, by letting them expire, to withdraw cash. Their importance has been clear over the past two years as capital outflows eroded the value of China’s foreign-exchange reserves. This placed pressure on domestic liquidity, since China had relied on cash inflows to generate money growth (issuing new yuan to buy up the dollars streaming in). After initial hiccups, the central bank more than made up for the loss of dollars at home by using its various tools (see chart 2). As a result, it has been better able to manage cash levels on a daily basis. High volatility in money-market rates, once a regular occurrence, has all but vanished, hence the central bank’s conceit that, in a Qin-like manner, it has shaved off mountain peaks and filled valleys. Nevertheless, both policy shifts are works in progress. With state-owned banks and companies still counting on government support in the event of trouble, interest rates have less signalling value than in a freer market. The central bank, for its part, continues to use administrative controls to influence lenders. 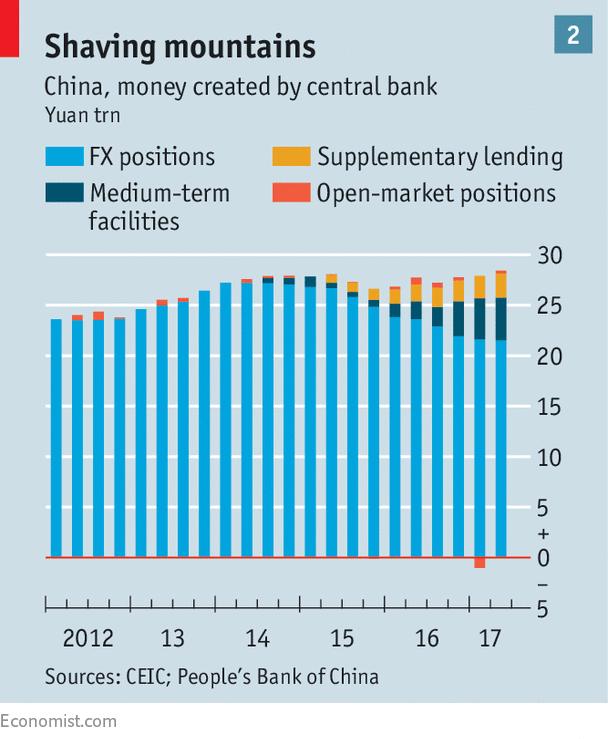 And its success in managing liquidity has been greatly helped by China’s tightened grip on its capital account over the past year. Without that, money growth at home might have fuelled more capital outflows. It is, in other words, a gradual approach to reform, in which sense the invocation of China’s first emperor is unfortunate. His rule was transformative but violent and short-lived. Slower monetary-policy shifts, in contrast, have much to recommend them. 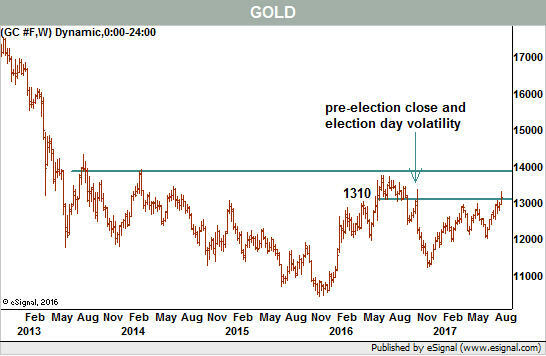 Gold moved above chart resistance but there are several factors that should give investors pause. Gold has been on a tear since early July, rising from roughly $1,200 per troy ounce to and through chart resistance at $1,300. 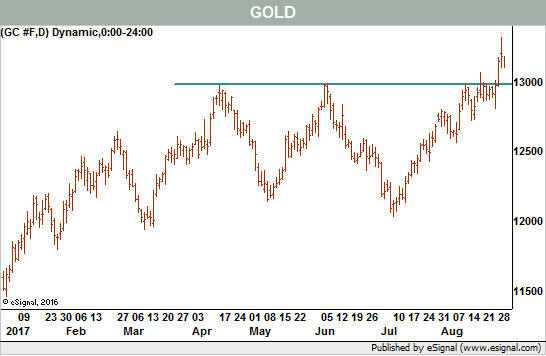 Gold bugs got quite excited with the apparent technical breakout, but the rally is not what it seems (see Chart 1). Last month, I offered the same sentiment, and unfortunately for me it was near the lows. One of my chief reasons was that the yellow metal’s gains were fueled by the weakness in the U.S. dollar and not by any intrinsic demand for metals. Most of the time, gold and the dollar move in opposite directions because gold is priced in dollars. The weaker the greenback, the stronger the metal with all else being held constant. 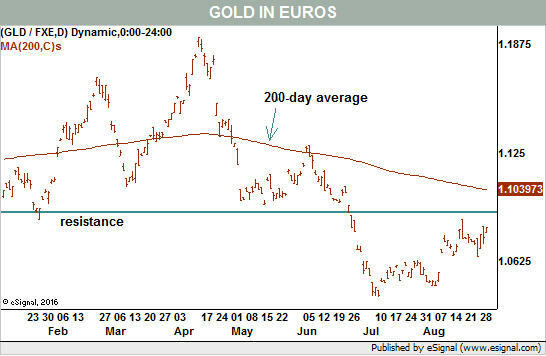 At that time, gold priced in euros was in a down trend and moved below support. Even now, it remains below its 200-day average making any strength seem suspect. And clearly, this chart is absent of any upside breakout at all (see Chart 2). Last week, the dollar did not react well to Fed Chair Janet Yellen’s remarks at Jackson Hole. The market took her lack of concrete language as being dovish, and the dollar dipped below very important long-term chart support. Following Wednesday’s ADP report that showed better-than-expected job growth for August, the dollar now may have already negated that breakdown (see Chart 3). This possible reversal of the decline gives cover for the Federal Reserve to raise interest rates again. This is good news for dollar bulls and bad news for gold bulls, especially since the mood on Wall Street had soured in recent weeks. The so-called Trump Trade seemed to be fading as legislative initiatives floundered. But there is more. Gold bugs also cite tensions with North Korea as reason to shift money into safe-haven assets such as gold and U.S. Treasuries. When that country fired a missile over Japan overnight Monday (Eastern Daylight Time), it caused the dollar to drop and gold to soar. However, by the end of trading Tuesday, both markets reversed course. The SPDR Gold SharesGLD in Your Value Your Change Short position exchange-traded fund (ticker: GLD) actually closed with a loss. These markets shrugged off the threat, and for gold it suggests a lack of true underlying bullishness. For the dollar, it suggests that there is more bullishness than meets the eye. 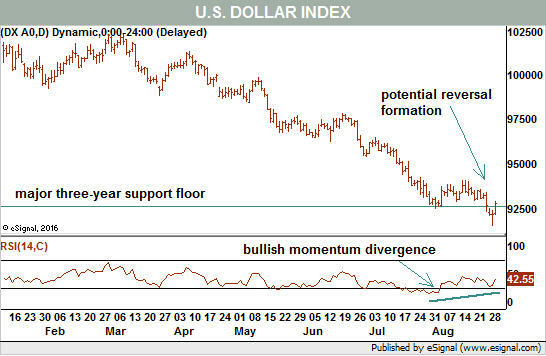 And while it is still early to declare that the dollar is going to rally significantly, the chart shows conditions in place for a technical reversal. Let’s get back to simple chart reading on gold and see that while 1300 level is important, it is not the only hurdle in this market (see Chart 4). There is another good resistance at about 1310 defined by the lows of last summer and also the high-water mark just ahead of the election. That is where the market traded during most of Wednesday’s session and remains a reason why bulls should be wary. Another reason, one which I will consider a minor factor now because it is somewhat arguable, is the positioning of the so-called smart money. 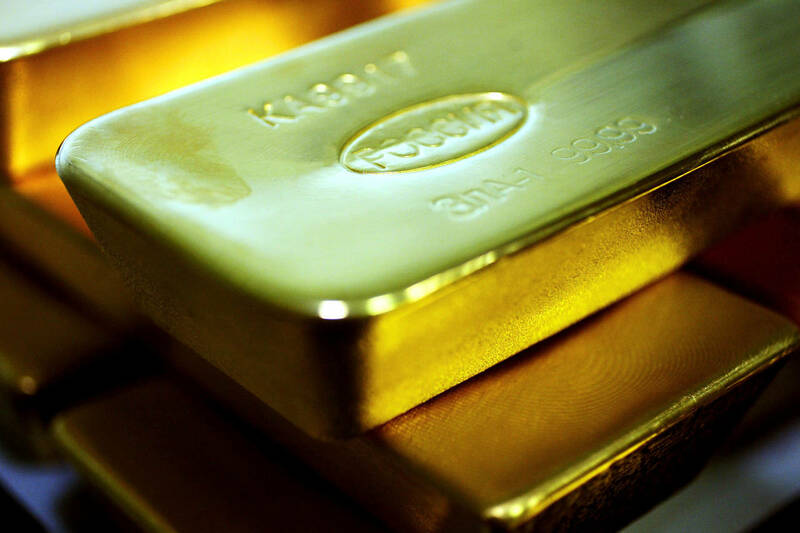 Commercial hedgers, which include gold miners and producers, supposedly have the best information — and deepest pockets — so they usually are correct in their market assessments at major turning points. As of last week’s commitments of traders report (COT), hedgers are as net short — expecting a price decline — as they have been all year. In contrast, speculators, who are usually caught on the wrong side of market turns, are net long, expecting higher gold prices ahead. The combination seems deadly for further gold gains. The caveat is that the most recent data were compiled last week ahead of North Korea’s actions, but also ahead of this week’s ADP report. It is hard for me to completely dismiss the positive short-term move in gold, especially as metals tend to be seasonally firm this time of year, but there are too many other factors working against gold. The key will be whether the dollar can maintain its new-found strength. If it gives up recent gains then I will have to admit defeat on gold and look for $1,400 as the next stop. The bursting of the US real-estate bubble in 2007 is a case in point. Everyone knew that the financial crisis and ensuing recession had started in the US, and that the country was to blame for a near-collapse of the global economy. And yet, even at the height of the crisis, a tidal wave of capital flowed into US markets, enabling the US Federal Reserve and Department of the Treasury to implement their response. In the last three months of 2008 alone, net US-asset purchases topped $500 billion dollars – three times more than what was purchased in the preceding nine months. Far from depreciating, the dollar strengthened. The Treasury-bond market stood out as one of the few financial sectors that was still operating smoothly. Even after the credit-rating agency Standard & Poor’s downgraded Treasury securities in response to a brief US government shutdown in mid-2011, outside investors continued to acquire dollars. Much of the spike in demand for dollars ten years ago could be attributed to sheer fear: no one knew how bad things might get. The same could be said of the US and North Korea’s escalating confrontation today. But will history repeat itself, and send investors flocking toward the dollar? The short answer is: don’t count on it. Markets have been signaling their distrust of Trump for months now. At this point, fear of a new crisis could precipitate capital flight away from the dollar, at which point the US would have to deal with a dollar crisis in addition to a potential military conflict. Risk of a dollar crisis seemed minimal in the weeks immediately following Trump’s surprising electoral victory last November. In fact, by the end of last year, capital inflows had pushed the dollar up to levels not seen in more than a decade, owing to expectations of large-scale deregulation, tax cuts, and fiscal stimulus in the form of infrastructure spending and increased outlays for America’s supposedly “depleted” military. Economic growth, investors believed, was bound to improve. But with the Trump administration now engulfed by scandals, the post-election “Trump bump” has faded, along with faith in the dollar. In the administration’s first 200 days, the dollar has lost almost 10% of its value. While Trump has been tweeting nonsense, investors have been looking for alternative safe havens in other markets, from Switzerland to Japan. This trend began before the US’s latest contretemps with North Korea, but it was only a trickle then. Now, that trickle is threatening to turn into a flood that will leave the dollar permanently damaged. Of course, the Trump administration might actually want a weaker dollar, and to let others assume the role of global safe haven. But such an abdication would be historically – and dangerously – shortsighted. The dollar’s popularity as a store of value confers an “exorbitant privilege” to the US. When investors and central banks place their wealth in Treasury bonds and other US assets, the US government can go on spending whatever it needs to sustain its many security commitments around the world, and to finance its trade and budget deficits. With his transactional approach to politics, Trump seems to focus more on the costs of having a global reserve currency than on the advantages. But he cannot hope to “Make America Great Again” if he has to worry about capital flight, and he will not be able to enact his domestic agenda if he has to accommodate negative market sentiments abroad. There will be nothing “great” about an America that has sacrificed its dominant position in the global financial system. If Trump tests the dollar too much, he will probably come to regret it.